The Berkeley Park neighborhood in Northwest Denver - located on Tennyson Street between 38th and 44th Avenues - is an up-and-coming oasis for young professionals and new families. Tennyson Street has become a shopping and cultural hot spot in Denver due to its abundant independent book stores, coffee shops, and organic food stores. It’s also home to the Oriental Theater, a popular venue to take in a movie, theater performance, or live music. Tennyson Street hosts the First Friday Art Walk where residents explore the businesses and art galleries in the neighborhood. 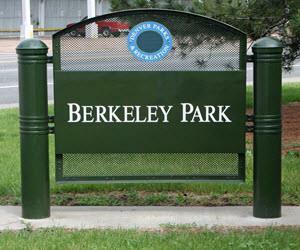 The Berkeley Park neighborhood has recently seen a surge of new residents drawn to the allure of the area and two nearby parks, Rocky Mountain Lake Park and Berkeley Lake Park. The latter has a recreation center, public library, and open space for dogs. Berkeley Park has an exciting mix of architecture and real estate options, from brick bungalows and old Victorians to newly constructed duplexes and town homes. 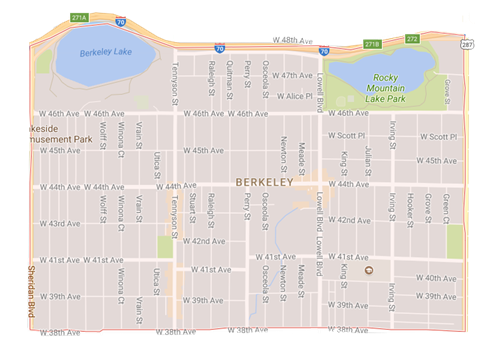 Many of the affordable houses in the Berkeley neighborhood are known as "Denver Squares." Good Denver schools (such as Centennial Elementary School) and recreational opportunities in the parks attract young couples to the family-friendly neighborhood.